Description: Korra is recruited to join Councilman Tarrlok's task force which tries to rid the city of Equalists. Please discuss here about the spoilers concerning "A Voice in the Night" ! ALSO, PLEASE REMEMBER THAT PICTURES AND LINKS TO THE EPISODE ARE NOT ALLOWED. I do love Asami's look, its very vogue... Bryke wasn't kidding when they said the teen love triangle would have cheese. Delicious delicious cheese. The first part is great set up. The last part has a great finish. This episode seems to take a few days to play out, Asami mentions an event over a week ago, and Korra seems to be skipping several practices. It seems rather light on Bolin, yet again. We need more of him. A plot is Korra dealing with Amon in a few different ways. B plot seems to be Mako and Asami flirting and going on dates. They seem a little unconnected. The skipping between one and another seem rather unrelated. 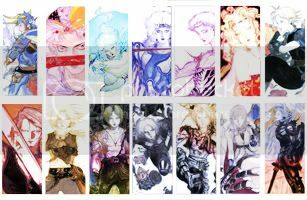 And Ikki is very funny in her short time. OH MY GOD FLASHBACKS OF AANG, SOKKA, AND TOPH! Back to pretending I have self-respect. I think Asami is a normal teenage girl, who might have a controlling father, has a dead mother, and might be used to buying people things to get them to like her. (Whether its because she wants to feel useful, feels like they wont like her otherwise, or likes buying people is yet to be seen.) Her date was Mako was sweet, if boring. They need to give her more layers if they want me to be interested in the ship, but I see zero reasons to dislike it so far. Korra feeling like people wont care about her if she loses her bending is pretty much confirmed now. Which is definitely sad. I hope she learns that people will care about her for being herself soon. Until then... Amon will continue to be the most terrifying thing that could ever happen to Korra at this point. I am interested in this apparent uprising Aang layed the divine smack-down on in record time. ^ I am interesting in seeing more of Tenzin's daddy issues, so flashbacks could be fun. I'm wondering if Pema's disapproving look was towards Tenzin, or Tarrlok for invading their dinner? I'm not really sure . She was disapproving of everyone's poor manners in said situation. He seems to put Aang on a pedestal, probably why he's a bit harsh. He needs a What Would Aang Do t-shirt. My heart broke when Korra was having the Gaang's flashbacks & when Tenzin runs towards her in present time Korra says "...Aang?" That moment.... I just realized how much I missed the Gaang. *see 4 seconds of grown up Gaang flashbacks* Korra, I'm sure whatever happened with the revolution and the probending and the love triangle and all that was interesting, but couldn't you just sit there and channel all of The New Adventures of The Gaang? I get why the bros. are upset with her, but I can only hope she's honest with them at some point, or they see how much of a burden she is under and they're shown to appreciate her more, not just for her powers. Betting Asami is an adrenaline junkie or something like Lili from Tekken. the whole ep? I think it's only the first 6 minutes, like what was leaked so far. Maybe Asami's mother and Brolin's parents were killed by a bender and then she joins the equalists and makes Mako feel conflicted. Could be why they had Mako be the one to say what happened to their parents, then have the leader of the equalists share a similar story, then have Asami have yet another similar story. And there's her design, as well. It says S1 and S3 in another video. So the middle part is still missing. Maybe not Asami since she is a big fan of probending, but her father? Perhaps he funds the equalist movement because he lost his wife to bending criminals? I'm betting Asami is an agent of Amon and she's having Asami get close to Mako in order to get closer to Korra. Also Amon is pretty terrifying, and he's right in sparing Korra at this point. It would make even non-benders uncomfortable and less likely to join him if he outright destroys the Avatar at least during this time. 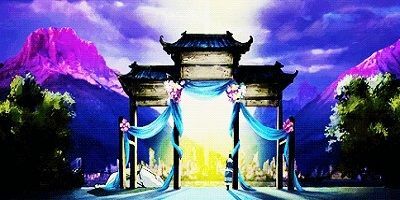 Destroying Korra would lead to his own destruction. 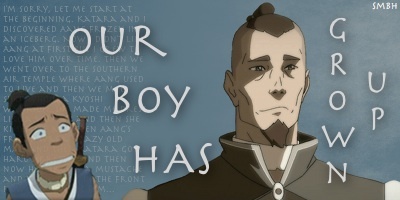 Also I am so, so disappointed that Sokka did not grow out a Wang Fire Beard.